Warwick, Providence, and Pawtucket drivers often ask what the differences between used and Toyota Certified Used Vehicles are. Luckily, our team at Balise Toyota of Warwick can help you answer that question and compare the differences. Keep in mind – whether you choose a Certified Toyota or a used one, both inventories include popular models like the Toyota Camry, Corolla, and RAV4. Stop by and see us today to see which option is right for you! At Balise Toyota of Warwick, we understand some of our Cranston drivers may be in the market for a vehicle that is affordable. If that’s the case, a used car, truck, or SUV could be the best choice for you and your budget. As you browse our expansive selection, we carry many different automakers – that way, you aren’t limited to only used Toyota models. A Toyota Certified Used Vehicles is still considered a used vehicle, but it has been tested to meet the original OEM requirements. For instance, all vehicles are within six years of the current model year and have 85,000 miles or less on the odometer for added peace of mind. 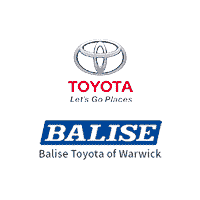 If you still need help selecting a quality used car or a Toyota Certified Used Vehicle, then visit Balise Toyota of Warwick today! We are here to help you with your pre-owned vehicle purchase.